It's Time For the Cybils!! Tomorrow, on October 1, the nominations for the Cybils will begin. If you haven't checked out this year's Cybil website, you need to go visit. Many of the categories have their panelists posted on the website, and you can learn more about both the category and the panelists. Also, the judges' names who take it from the final 5 to the winner in each category are listed as well. 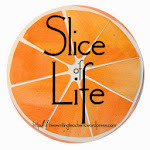 The Cybils are a great way for our kidlit blogging community to share what we think are the best and the brightest books that were written this past year. I know I eagerly await the nominations, the top 5 or so picks, and then the winners. What a great concept the Cybils is!! In addition, this year Bill and I have a vested interest in the Cybils... more details to come later. For now, I am just anxious to see the books that are nominated in each category. Let the nominations begin!!! Recently I saw School of Fear on the new table at Cover to Cover, but I stayed away from it. OK, I'll admit I judged this book by its cover. Not that there is anything wrong with the artwork, after reading it, illustrator Carrie Gifford captured the characters perfectly. My problem was that the title and illustration reminded me too much of the Series of Unfortunate Events. I know, I know, kids LOVE the Series of Unfortunate Events, BUT I DON'T! After reading the first, I was done and didn't read any more of them, too dark for me, didn't find them a bit funny. Anyway, one of my parent volunteers has a contact with the author of School of Fear, Gitty Daneshvari and brought in an autographed copy. As with any new book I like to read them before putting them on the shelf, so I brought it home and was hooked by the humor from page one! Yes, it's bit dark, but not in the abusive style of the Unfortunate Events. 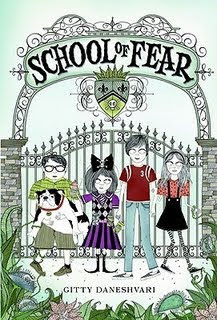 Each of the four main characters suffers from a fear of something. Madeline is afraid of bugs and spiders and is constantly spraying herself and surrounding area with bug spray. She wears bug netting over her face at all times and won't enter any buildings or cars unless they have been recently fumigated. Theodore is afraid of death, for himself and anyone close to him. He is constantly quoting statistics about illnesses or disasters and how many fatalities were reported in 2003, the most recent listing in his school library. He makes all of his family members text him every hour to report that they are alive and sometimes, as a joke, his brothers text him the word "dead" just to tease him. Lulu is suffers from claustrophobia and will not take elevators, only stairs. She wears a pair of handcuffs just in case she needs to lock herself to something to avoid being forced into a closed in space. Finally, Garrison who is an outstanding athlete with a deathly fear of water, oceans, lakes, pools, large puddles, they all make him freak out. It's especially tough because he lives in Miami and ocean is just down the street. All four children are sent to the top secret School of Fear run by former beauty queen Mrs. Wellington and her faithful assistant Schmidty. Mrs. Wellington uses some very unorthodox methods to cure her students, and her students question her over and over throughout the book. I don't want to spoil any part of the plot because there are surprises around every corner and behind every door. I laughed and was on the edge of my seat at the same time. I liked it a lot. I'm not sure what the target audience is, but I will definitely be recommending it to all of my fourth and fifth graders. My friend Beth at the best little bookstore I know, Cover to Cover on High Street in Columbus, put this one in my hands on my last visit. She knew how much I liked Necks Out for Adventure by Timothy Basil Ering and thought I might like this one too. Boy was she right, I LOVE IT! I have moved it right to the top of my Caldecott short list. Finn is a toddler having a VERY bad day! Usually he is happy and likes peaches, but not on this day, on this day he is CRANKY! Something sets him off and we never really find out what it is. The kids , all ages, get this, it never fails, when the short read aloud is over, someone asks, "What was wrong with him, anyway!?" which leads to a discussion of little ones having temper tantrums for no apparent reason. Of course, none of them have ever done this, ohhhhhh, noooooo! David Elliot's simple words that compare Finn's actions to various natural disasters, blizzards, floods, earthquakes, avalanches, match perfectly with Timothy Basil Ering's Weeble like Finn. I love the way that the pictures and words build together to a crescendo of a fit, and then, just like a real toddler tantrum calm, just like that. The really cool effect between the words an pictures is right at the height of the action, Finn calms on one page while right next to it his parents are still holding on for dear life. A perfect depiction of what happens when a toddler loses control for no obvious reason. I LOVE THIS BOOK! Every kid in THE PIT has laughed and commented on the pictures, it has been a fun week of read aloud. I would definitely add this to Franki's list of books I could read over and over and over. I've mentioned in prior posts this school year, that I've really been working on defining community at my new school, with my new 5th grade students. We've had many great community moments this past week, especially when it comes to our reading workshop time, and the opportunity to get comfy somewhere in our classroom and snuggle up with a b ook. But, this past Friday, I realized something very important: my students all really love humor. I was introducing the notion of having to locate where all 50 states are, and I had my class in the palm of my hand. Impossible, you think? Not if you're reading aloud The Scrambled States of America by Laurie Keller. The premise of this very humorous book is that the 50 states are getting a little bored of where they've been, and they want to mix things up a bit. The state of Kansas gets things rolling, and pretty soon, all the states desire the opportunity to locate themselves somewhere else. Not only are the situations the states get into hilarious, but their dialogue will keep the reader in stitches. Add to that, Keller's fun illustrations of the states, giving each one a distinct personality, and you've got a lot of "funny". My students were mesmerized as I read The Scrambled States to them, only taking a breath for some deep belly laughs. Reading this book to them was truly a community moment. While not everything we do will be a laugh-fest, I will remember this moment for a long time to come. I recently heard our district's superintendent say that the number of times a student laughs during a typical school day drops dramatically (he had the actual numbers) from the time they are in kindergarten until they are in high school. Here's hoping that more students can be exposed to books like Laurie Keller's, The Scrambled States of America, and we can start to hear more laughter in our schools and classrooms. This geography lesson was a great opportunity for me to find something that helped our community "click", but better yet, it was just plain fun!! 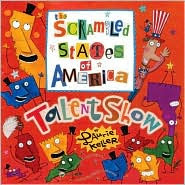 ** If you don't already know, there is a sequel to this great book that my students are dying to get their hands on: The Scrambled States of America Talent Show. Every year about this time, school librarians around the world are teaching lessons about how to treat the library books when they are checked out and taken home. There are any number of books out there about the care and use of library books, one of the most popular comes from the Mr. Wiggle series. Mr. Wiggle is the library bookworm who wears HUGE blue glasses, I got to get me some of those, and addresses library skills through cutesy rhyming books. For what they are, they're not bad, but how many times can a kid listen to a book worm wearing HUGE blue glasses named Mr. Wiggle!? In my first year I decided to add my own twist to the lesson by donning faux scientific protective gear, goggles, plastic apron, rubber gloves, and demonstrating what NOT to do to our library books when they go home. It was so much fun, that I decided to roll it out again this year, and thought I'd share it here on the blog. Remember, kids do not try this at home! I am a highly trained professional! Everything you are about to witness today should NOT be done to any library book. Please make sure your hands are clean when you pick up a library book, don't write in them, if you rip a page, don't tape it yourself. All of these things, I actually do to an old library book to the shock and horror of the younger kids, and to the complete delight of the older kids. Please don't eat a messy PB&J sandwich with the jelly squirting (insert appropriate raspberry noise here) out the sides or a messy English muffin with every nook and cranny overflowing with honey while reading our books. Yes, I smear jelly and honey all over the pages making an awesome mess on the pages of a book. The final product looks something like this. It almost looks like some sort of modern art gone terribly wrong. Don't you think? One of my very first posts was a review of Swindle by Gordon Korman. I loved it and it appears that a lot of our readers did too. The kids are back in Zoobreak and it's every bit as good as the first. The books are kind of like Ocean's 11 done kid style. A group of kids, all with different skills play a role in a heist. In Swindle, it was a million dollar baseball card, in Zoobreak it's a stolen monkey. I really like this because many of the kids who read Swindle told me they had some difficulty keeping characters straight. With this chapter in place, they can always refer back to help keep at least the team members straight. The kids successfully free Cleo the capuchin monkey but Savannah convinces them to also free all of the animals which leads to another problem, what to do with them when they get home. The middle part of the story, or Griffin's second plan, is humorous and could lead to some pretty good creative writing activities in the classroom. How would you hide a wild animal from your parents? Could be fun! This leads to the third plan which is another zoobreak, this time to put the animals in a local zoo without being caught. Throughout both adventures there is the undercurrent of Griffin being separated from his best friend Ben Slovak who suffers from narcolepsy and is scheduled to go to a boarding school for kids suffering from the ailment. Once again, Gordon Korman provides a fun, exciting read that will keep kids turning the pages to find out what happens next. This book will be featured at the book fair we have in October and I feel pretty confident that it will fly off of the shelves. 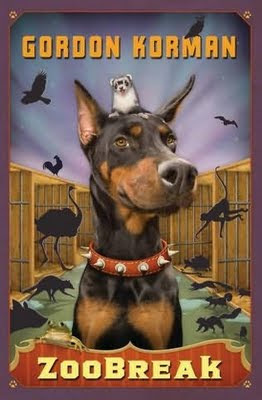 As with Swindle, I think most 4th and all 5th graders can read and understand Zoobreak. I think some high level 3rd graders could as well. When I was browsing the "New Books" section at my local public library, I picked up a book titled Tracktown Summer by Elizabeth Holmes. On the cover, I saw two boys jumping into water (I love books that have their settings on or near water) and the title had the word "summer" (I also happen to love summer and the lack of schedule it brings). Those two reasons alone made me want to find out a bit more about this book, so I opened to the front flap. On the front flap, I learned that we have the main character, Nick, whose parents are separated, and he will be visiting his dad for the summer at a cottage by a lake. I also realized where the "Tracktown" in the title comes from -- there is a railroad track that runs past the cottage four times a day, and is so loud, it makes the cottage vibrate. I also found out that Nick will be meeting another character, Adrian. Adrian has a very "dark" side at times. The flap of the book is truly a great summary of what happens once you start reading. Jake's mom drops him off at his dad's cottage for the summer, but when Jake sees how shabby the cottage his dad has, along with the other cottages near by, he wants to go home. Add to that, the train that "screams" past the cottage 4 times a day, and Jake is pretty miserable. Jake's dad is a professor at a university, and as many professors do, he is trying to publish a book about his area of expertise. In order to make that happen, he spends no time with Jake until the late afternoon, if at all. They do spend the evenings together, but this is definitely not the father-son bonding experience Jake had expected. Bored and looking for something to do, he walks around the other cottages, and he eventually meets Adrian who lives in one of the cottages at the end. Jake's summer starts to look up as he as found someone who likes to play basketball and just hang out together. But soon, Adrian starts to push Jake out of his comfort zone. There is the time they were playing at the beach, and Adrian kept pushing Jake's head underwater for well over a minute. There are all the times Adrian pulls out cigarettes to smoke. There is the time that Adrian talked Jake into hiking to a "great swimming place" which turns out to be private property, and they had to run away from the owner. There are all the times Adrian asks Jake not to tell his dad the truth. There is the fact that Adrian never asks Jake into his cottage, and always keeps the front door closed tight. There is the time Adrian stole his sister's key, and took her car out for a drive; he took Jake with him. It is a summer for Jake to discover where his moral compass is, as well as trying to define what his relationship will be with his dad. There are other characters that are central to the story and very enjoyable. Allie is a girl Jake's age and lives in the cottage right next to Jake. On the days both her parents are working, it is the expectation that Allie will babysit her younger sister, as well as take care of the house. Allie is mature, and the voice of reason. Allie's younger sister is Maddy, and she says the most precocious things -- having her in the story lightens things up. Finally, there is Peter. Peter is younger than Jake, and loves all his scientific collections of things from nature. Tracktown Summer is disturbing, haunting, and realistic, all rolled up into one entity. It is a book that will appeal to children going through some of these life situations -- a) parents separated and living far apart, b) families with both parents working and the expectation that the children will have to step up to the plate because of the long hours the parents work, c) mental illness within a family and how it affects the entire family, d) children being presented with an opportunity to choose between the right and safe decision or the decision that is not safe and is only chosen to try to be "cool" and accepted, e) having parents that seem not to pay attention to their children and f) living situations (in this case, cottages, that are not well maintained and run-down) that are less than desirable. That being said, I think Tracktown Summer is also a book children who are fortunate enough not to have these issues should read as well. I think it would be a real eye-opener to how others, less fortunate, live on a day to day basis. I read Tracktown Summer in one sitting; it was just that engaging. It is a book I will be thinking about for a long time to come. There has been much being said in our kidlit blogger world about the upcoming Kidlitosphere Conference in Washington D.C. on October 17. I have been on the fence about this as I have some family details I was trying to work out. My oldest daughter is currently in DC, looking for a job (has had 2 interviews this past week - yea! ), and I just didn't know what the demands on my time would be if she needed to move into an apartment around the same time. But tonight, since Mother Reader gave a 1 week deadline, I decided to go for it and take the plunge. It will my first time to make one of these get-togethers, and I am greatly looking forward to meeting the people behind the words and the blogs. I know my blog partner, Bill, already shared that he would be going, so I always knew half of Literate Lives would be represented. :) Now, with my decision, barring any unforeseen circumstances, the other half of Literate Lives will be there also. The hotel is booked and the registration has been sent in -- next stop, Washington D.C. Hope to see you there! This year, I am at a new school, and I am frequently asked how things are going. The short answer to that question is, "They're going well." The long answer is "They're going well, but I'm learning how important community is when teaching children." That last statement is something I've known to be true for a long time, but I've taken the learning community where I've been for the last thirteen years for granted. I knew the staff at my old school, students were familiar with me as they progressed through the grades, and we had many parents who spent countless volunteer hours at school, so I knew the parent community as well. I've learned to be humble this year. For this new community, I am an unknown factor. Any celebrations with children I may have had in the past are literally that... in the past. Here at my new school, I haven't yet earned credibility with parents and students. That's the part that keeps me humble, and makes me start each and every day with the hope that "magic" will happen in our class -- we will work on our community, and because of that, our learning will start to grow exponentially. Each day is a new day where the possibilities are endless, and our community of learners just has to find our way to those possibilities. Today, I had a great community-building experience with my students. I took every single fiction book off our bookshelves and scattered them into 7 piles throughout the room. I told the students that a "tornado" had blown certain books off the shelves, and we needed to find a way to organize the books in a way that would help them locate the books they needed when they wanted them. Even with the noise level, the engagement of the students working as a group was amazing, building a community centered around books. We talked about genres, authors, and series. What more could a teacher of reading ask?!! I look forward to many more community building activities just like this one. Building community around who we are as readers and writers, and having the children be part of the way we organize how we do things as a group. Activities like the "tornado" today, and all the rituals and routines that come with reading workshop and writing workshop -- these are the community issues I hold near and dear to my heart This is how my kids will get to know me, and understand my belief system about literacy. So, in a final answer to the question of how's it going" : I love this new and exciting challenge, and I look forward to building our community together each day. Tiger Pups Has a Huge AWWWWWW Factor! I couldn't resist this cover on the new books table at my library and wasn't disappointed when I got it home. The photos by Tom Harvey and Keith Philpott are enough to sell this book, but the text and information are presented in such a kid friendly way that make this book even better. 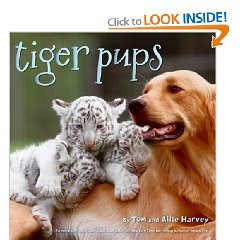 When three tiger cubs are abandoned by their mother at birth, Tom and Allie Harvey bring them home and begin to care for them. The Harveys are the owners of the wildlife park and know something must be done to save these cubs that are no bigger than guinea pigs. Fortunately for them, they have a live in "tiger cub nanny" named Isabella. Isabella takes them in and raises the cubs as if they are her own by nurturing and feeding and playing with them. The three cubs take to Isabella as if she is their own m other until they get too big for the Harvey house. We've all read stories about wild animals being raised by humans, but the twist on this one is that Isabella is a golden retriever. Thanks to the motherly instincts of this beautiful dog, the tiger cubs become tiger pups and survive. I can't wait to share this in THE PIT with the kids, I know they will be as taken in by the photos of the tiger pups and their nanny just like I was. It's also going to help me meet my goal of introducing more types of books this year, mixing them in with the funny and loud ones I have favored in the past. I've said before how much I like free verse novels. I've posted about several of my favorites, Summerhouse Time, 42 Miles, Where I Live and have enjoyed others, Home of the Brave, without a post. I recently finished All the Broken Pieces by Ann E. Burg and loved it. The reading level and subject matter are such that I probably won't buy it for our library, but I definitely recommend it for middle school readers, it is powerful! The story revolves around Matt Pin, a Vietnamese boy who was airlifted out of his native land and adopted by an American family. Matt is the son of an American soldier who abandoned him and his Vietnamese mother. He has mixed feelings as he goes about his new American life. He is adopted into a loving home with an adoring baby brother, but he can't help feeling like he abandoned his birth mother and baby brother in Vietnam. In fact, his Vietnamese mother begged the Americans to take him so that he would have a future and the chance at a better life. He is torn by the guilt he feels and the hate he has for some of his classmates that torment him. In the end he reaches a level of peace, and understanding of his classmates with the help of a coach and a support group for Vietnam vets that are helping each other to cope with both physical and emotional scars. Ann E. Burg's poetry is well written and flows so easily over and around this difficult subject. She creates characters through the verses that are some of the most memorable I've read this year. It's a well written novel about a topic that doesn't get a lot of attention for kids. This is a powerful novel from a first time author, I've read a lot of those this year, and I'm not surprised to see the title popping up on Newbery lists everywhere. As I stated in the beginning, I don't think this is a novel for an elementary school library, but definitely for middle school readers. On a trip to my local public library this summer, I found a new series (for me, at least) called Melvin Beederman Superhero by Greg Trine. I say it is a new series for me because this book, called The Brotherhood of the Traveling Underpants, is the 7th book in the Melvin Beederman series. Kids will also find much humor in the fact that Melvin may be the first superhero in history that takes at least 4 - 5 tries to launch himself into the air when he is headed off to save the day. Every time he needs to fly off, Trine has accompanied his take-off attempts with words such as: "Crash! ", "Splat! ", "Thud! ", "Kabonk!" Who wouldn't love a klutzy superhero like that?!! they were in a pickle"
You get the idea. Fun words that readers will be amused to read. "Be sure to make like a baker and haul buns! Make like a golf club and drive." To set the plot of this book up for you, Melvin and his sidekick Candace, foil the plans of Goofball McCluskey, Max the Wonder Thug, and Calamity Wayne early in the story. Score one for the good guys, and watch the bad guys end up in prison. Goofball, Max, and Calamity spend their time in prison trying to figure out how to get even, or get rid of, Melvin as he continually messes up their bad deeds. When they get out, they seek assistance from Big Al, another bad guy. He sells them a time machine so they can go back in time and get rid of Melvin before he goes to Superhero Academy and acquires his superhero powers. Silly, right? But put silly together with chuckles, superhero humor, easy to read font, and some great language, and you have a book to which I think kids will gravitate. It would be an especially good series for beginning chapter readers and older readers looking for a book that is just flat-out fun and won't make them struggle as much. Melvin Beederman Superhero: The Brotherhood of the Traveling Underpants is superhero silliness at its best. 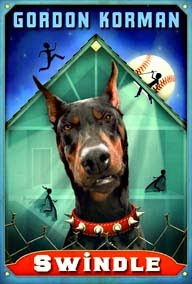 The pictures by Rhode Montijo are great, and I look forward to reading the whole series and laughing the entire time!